Many of you probably already use this feature and if you don’t, I would encourage you to try it out at the very least. I think we can all agree that using our phones while driving, and distracted driving in general, is the new Driving Under the Influence. One could make a pretty solid argument that it’s even worse. From a guy that’s already been through one windshield in this life, and from a guy that spends a significant amount of time out on the road each week, I can share that I’ve seen some utterly questionable decisions being made all over the place. I’m sure you have a story or two to share as well. 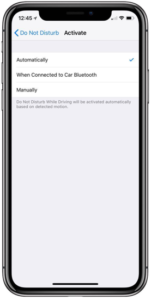 Using this feature on the phone can help. It would be easy for me to tie this note to the impacts on our business, but all I would really like to do here is my part, small as it may be in the grand scheme. Please share this information with a colleague, a friend, a new driver in your house; maybe a client. 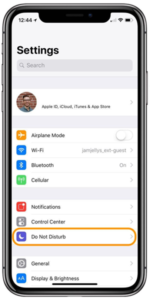 *Note you can personalize the Do Not Disturb message that goes out in the text if someone tries to call or text you in this mode. 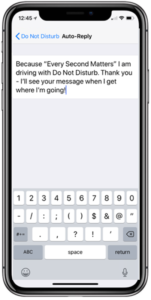 I included the Every Second Matters verbiage in my message. 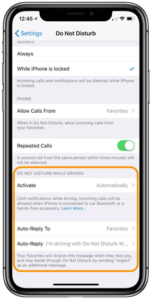 You can also customize your settings to still accept repeat calls, certain regular calls (kids/spouse), or only when on blue tooth/not hands free.